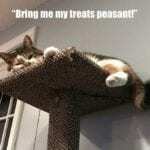 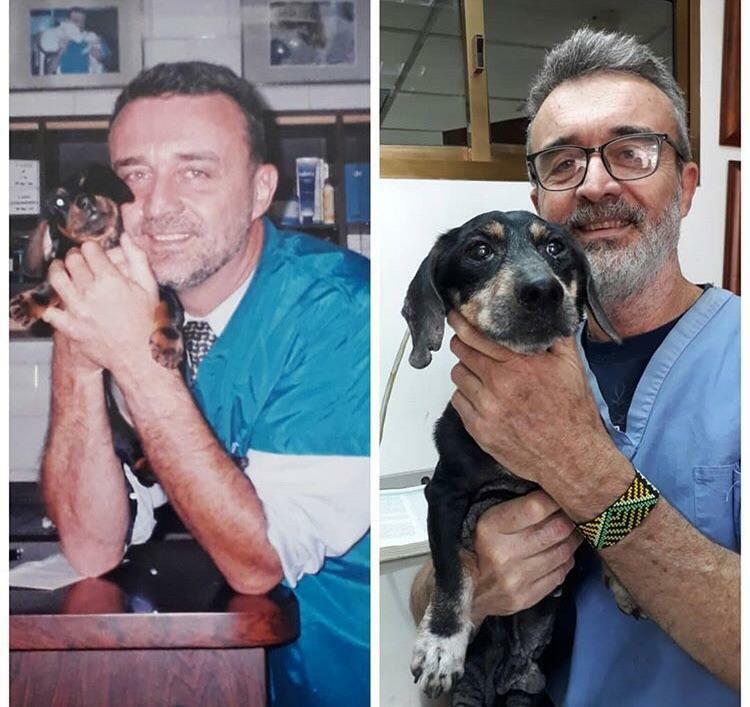 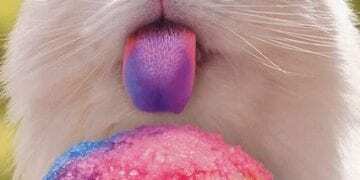 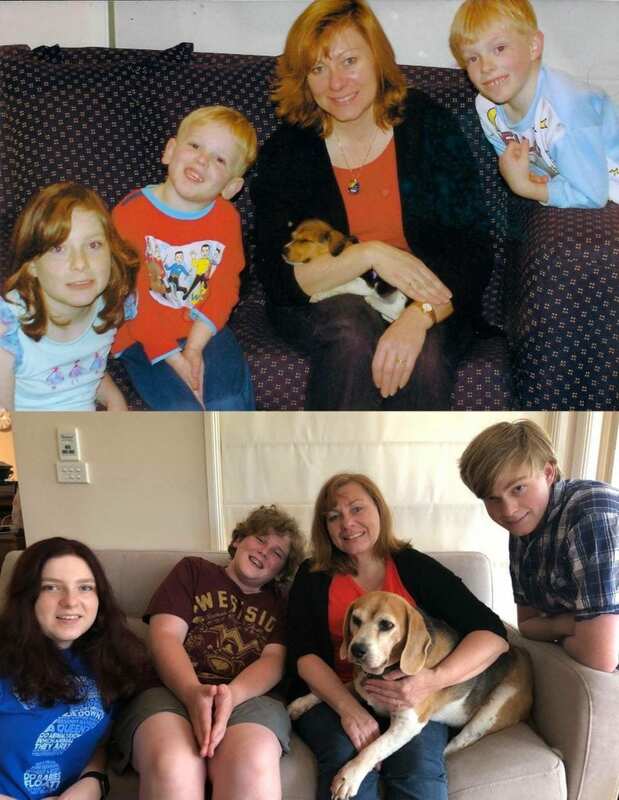 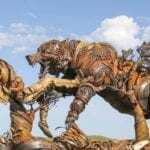 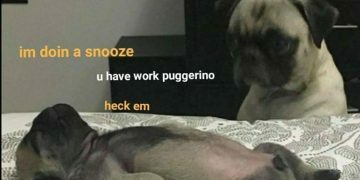 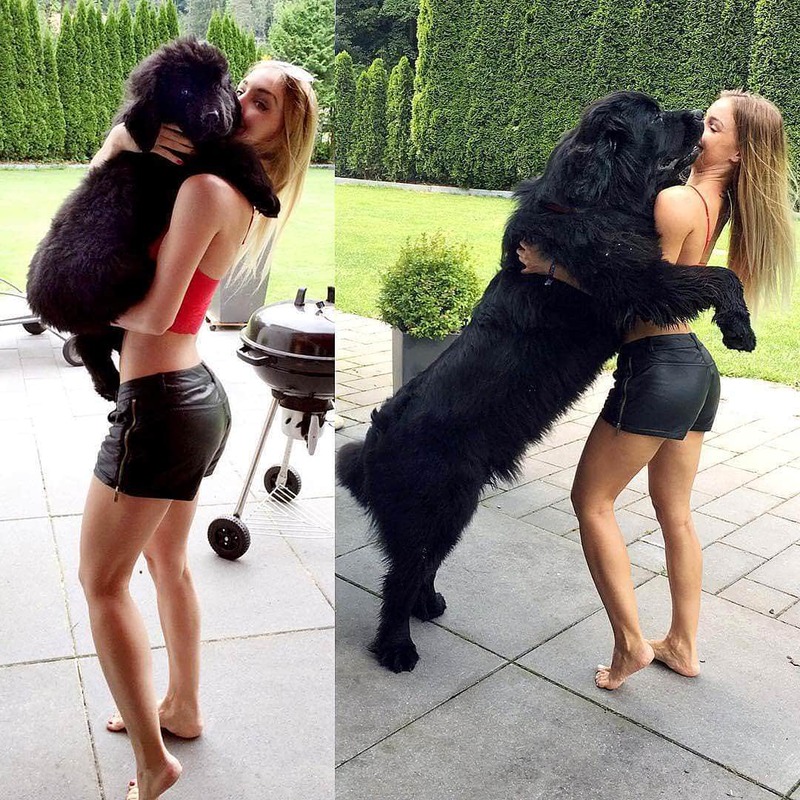 Many times we outlive our doggos and they are with us for a small time, we all know that but for that particular timespan we are never alone and it looks like we are going to spend our whole life with these cute pups that grow up into big dogs. 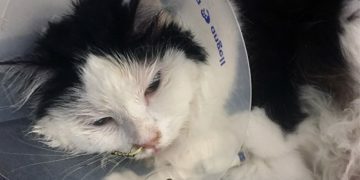 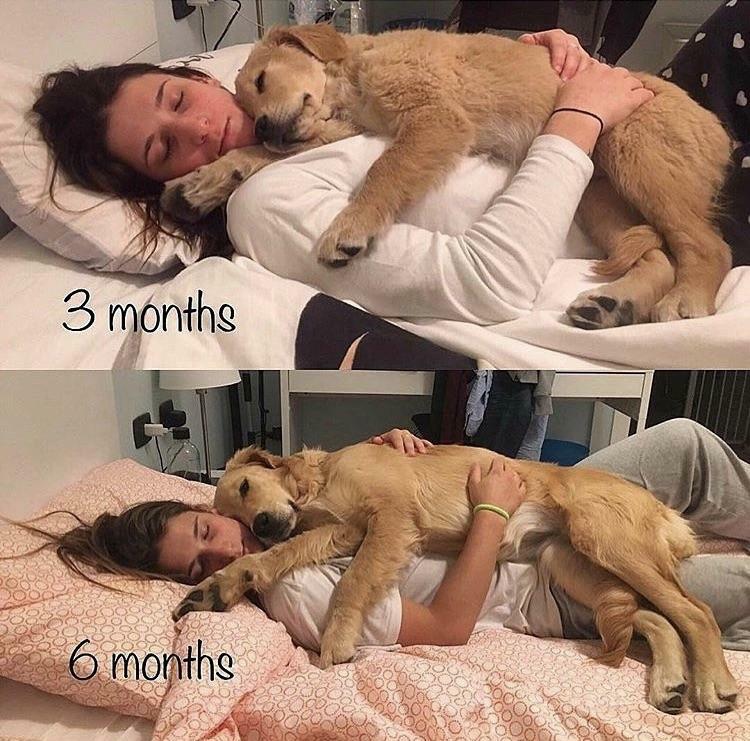 In the course of this short time we form a cordial bond with them and they become part of life during that phase and the feeling is just amazing to have. 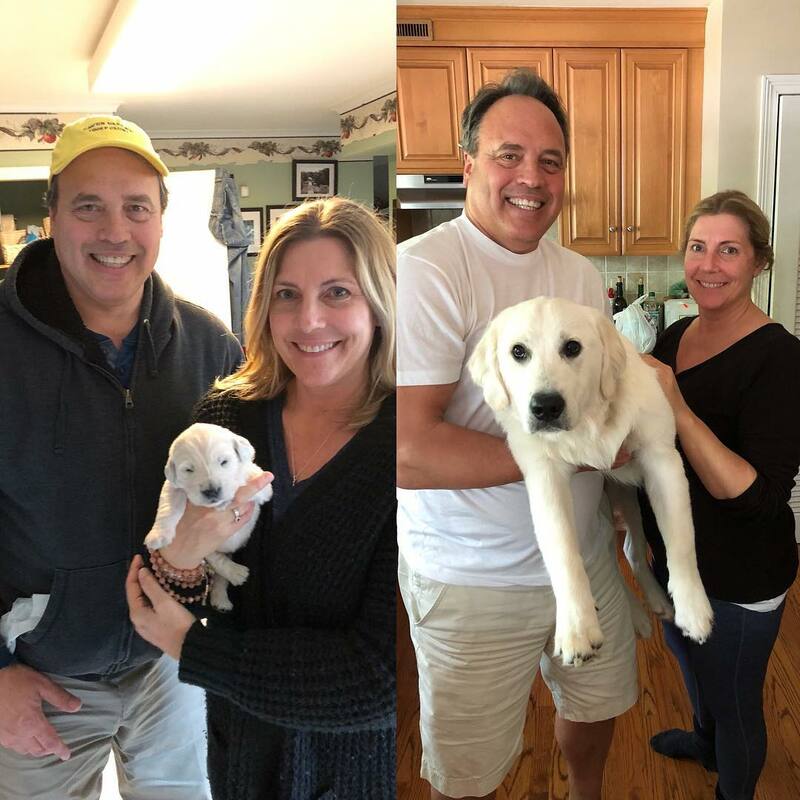 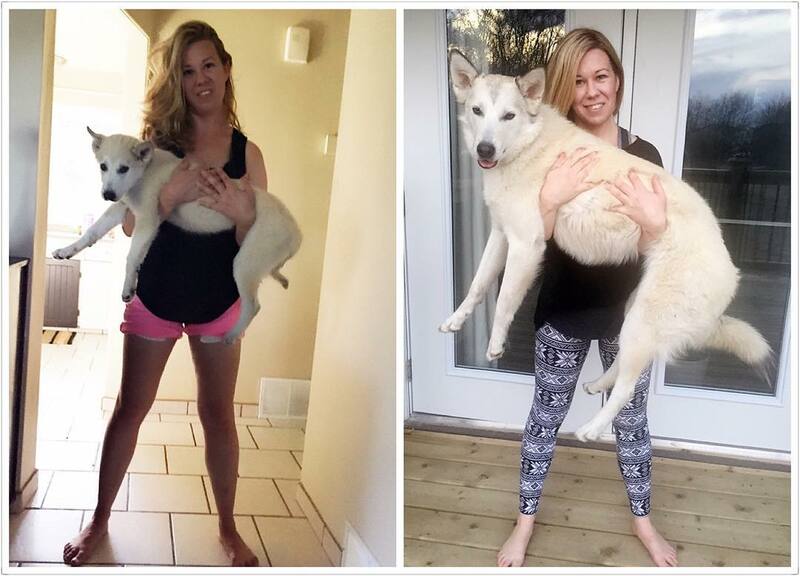 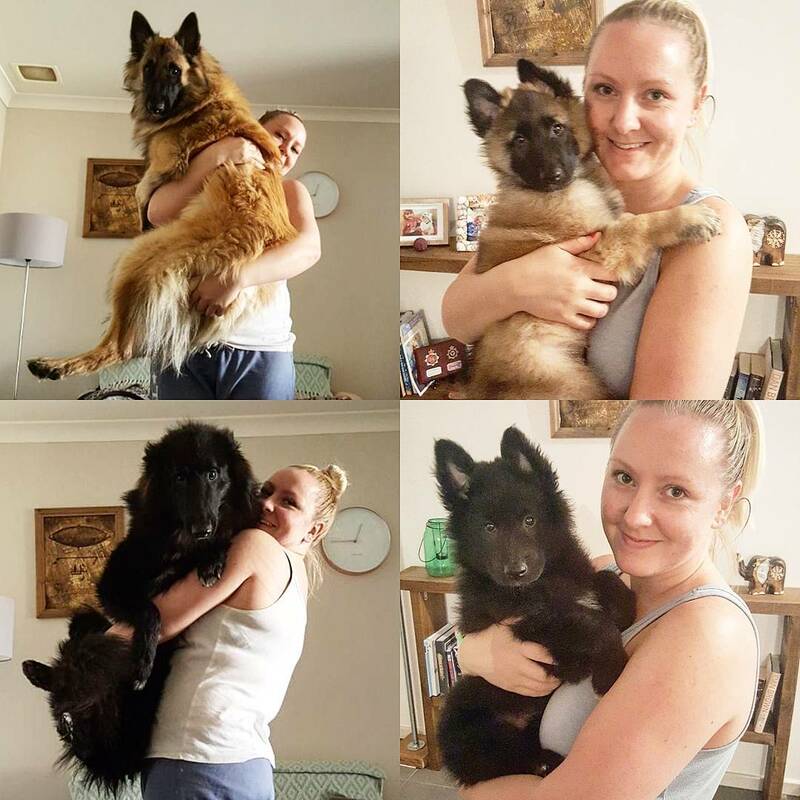 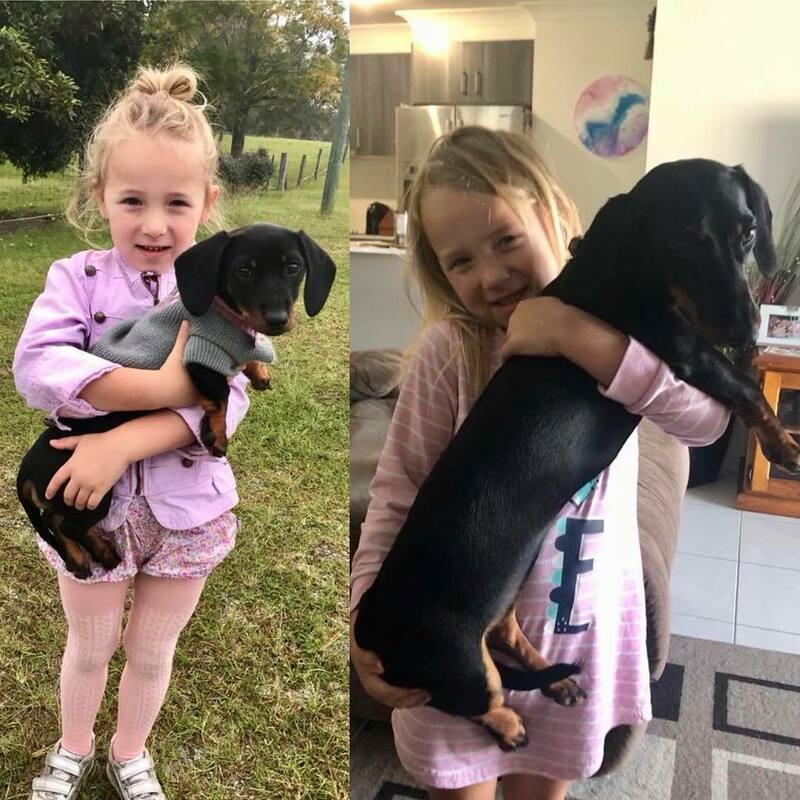 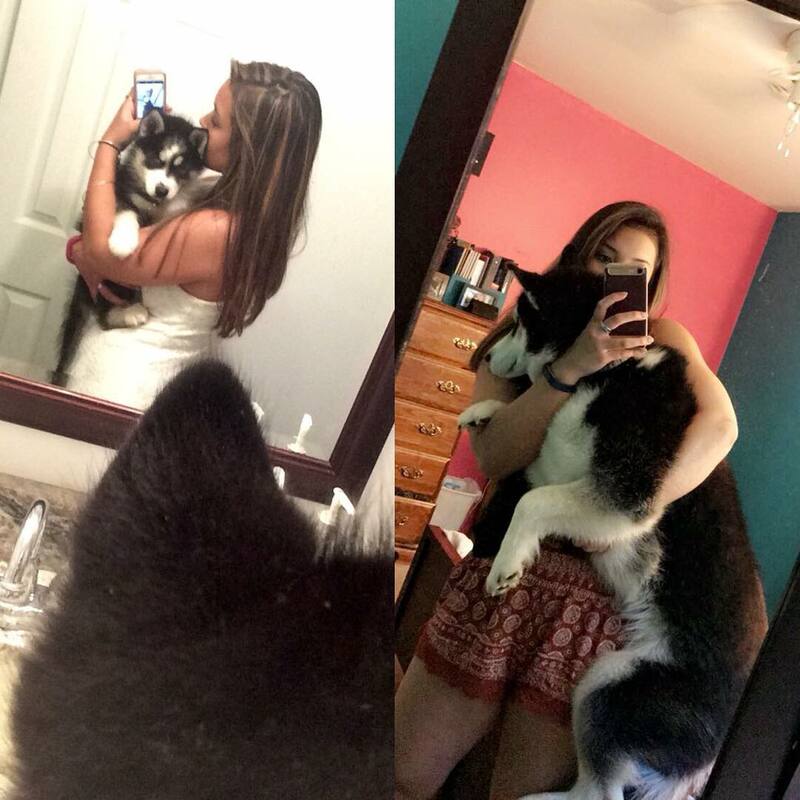 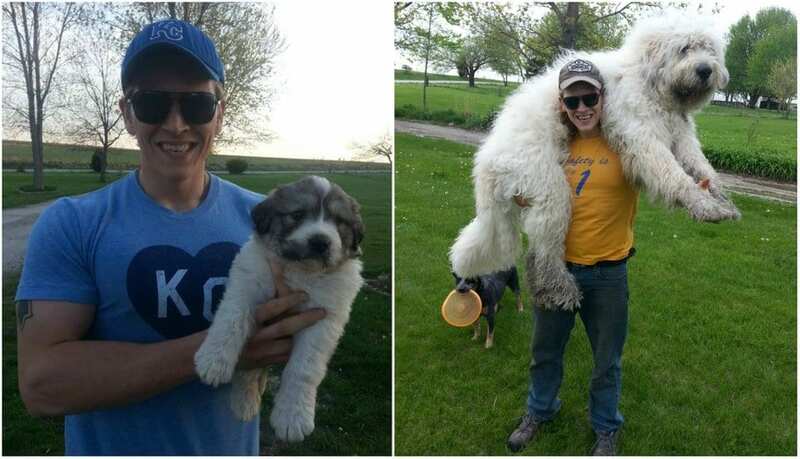 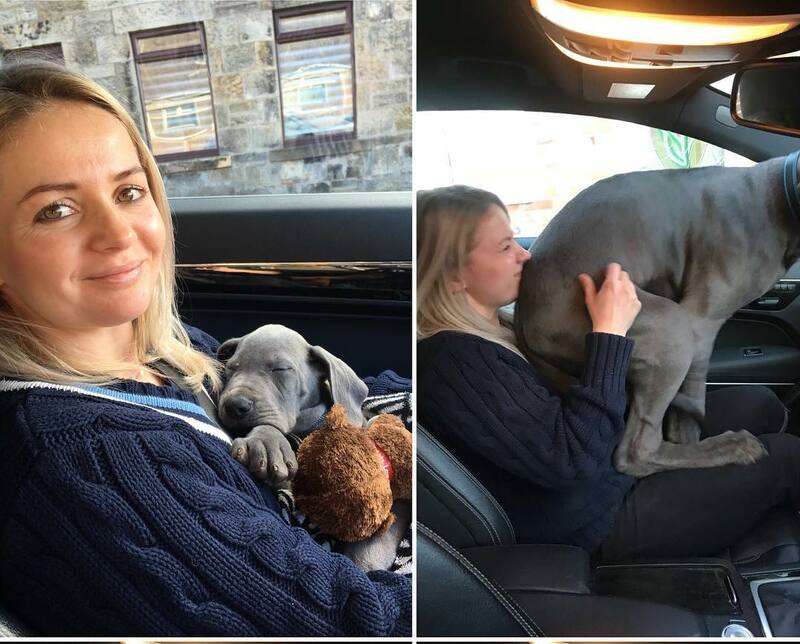 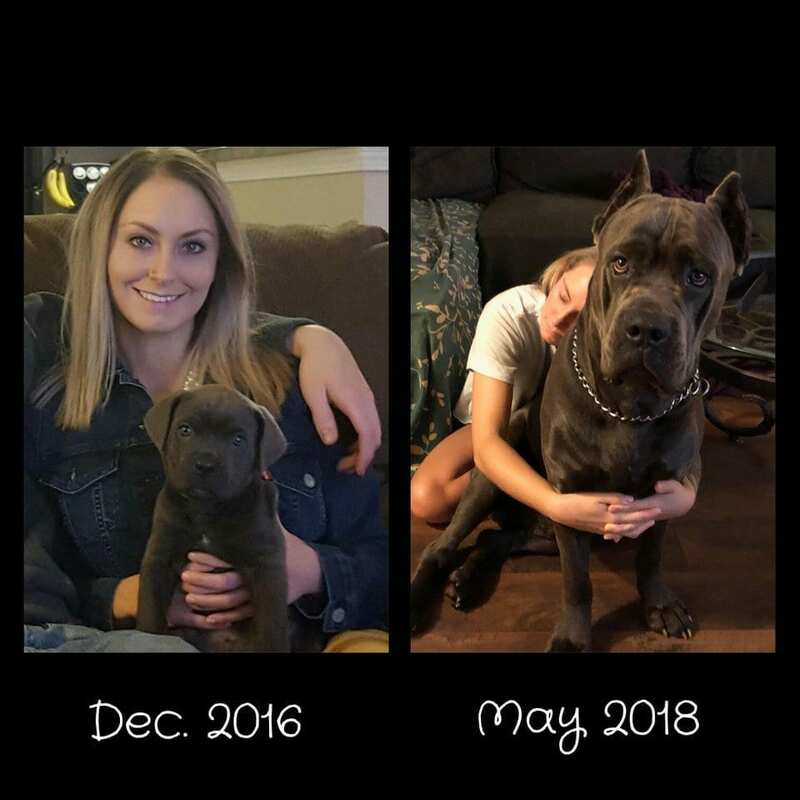 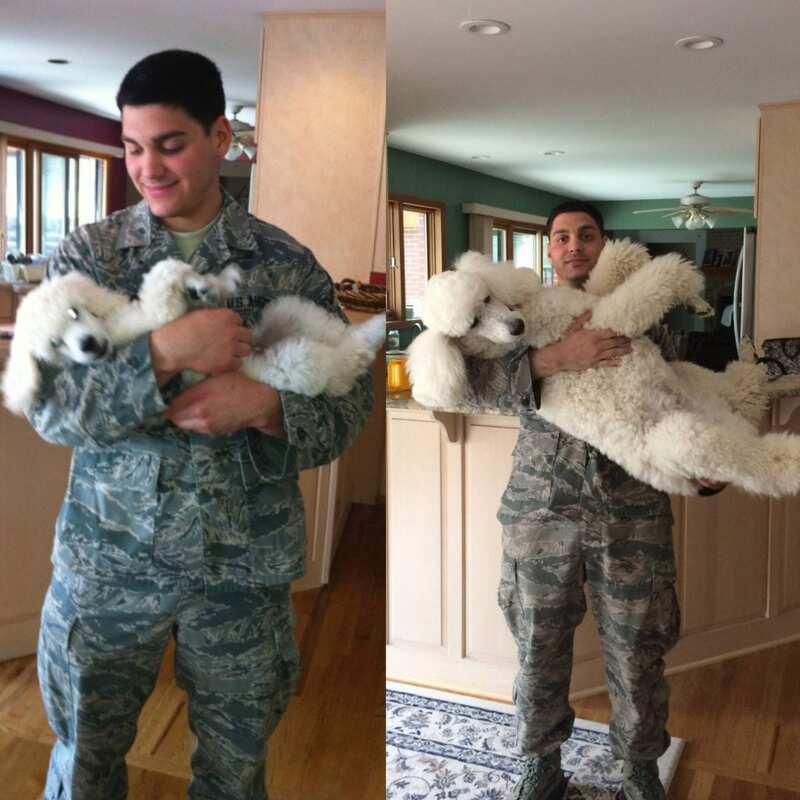 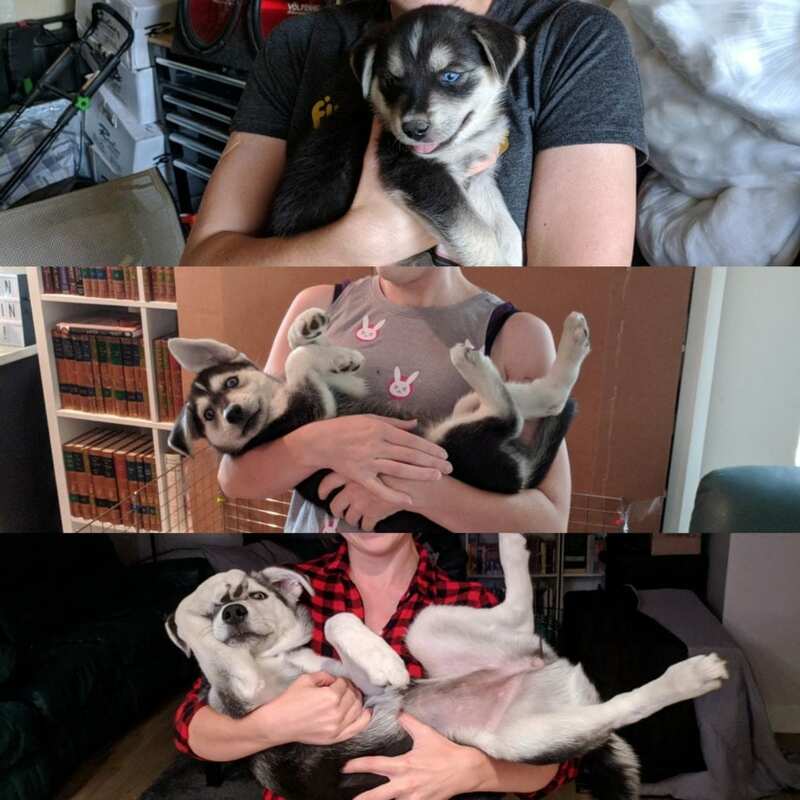 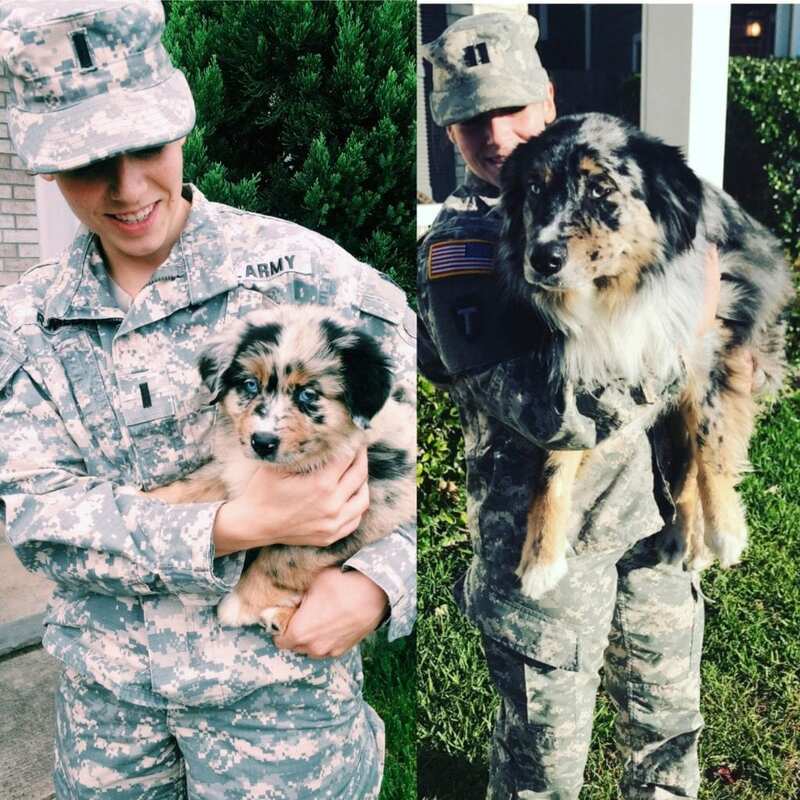 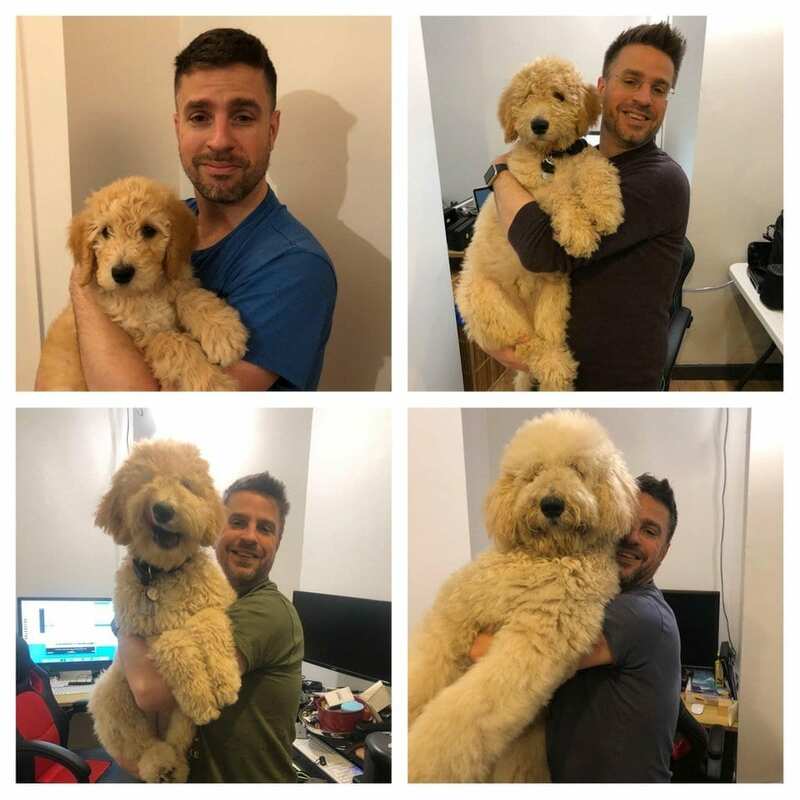 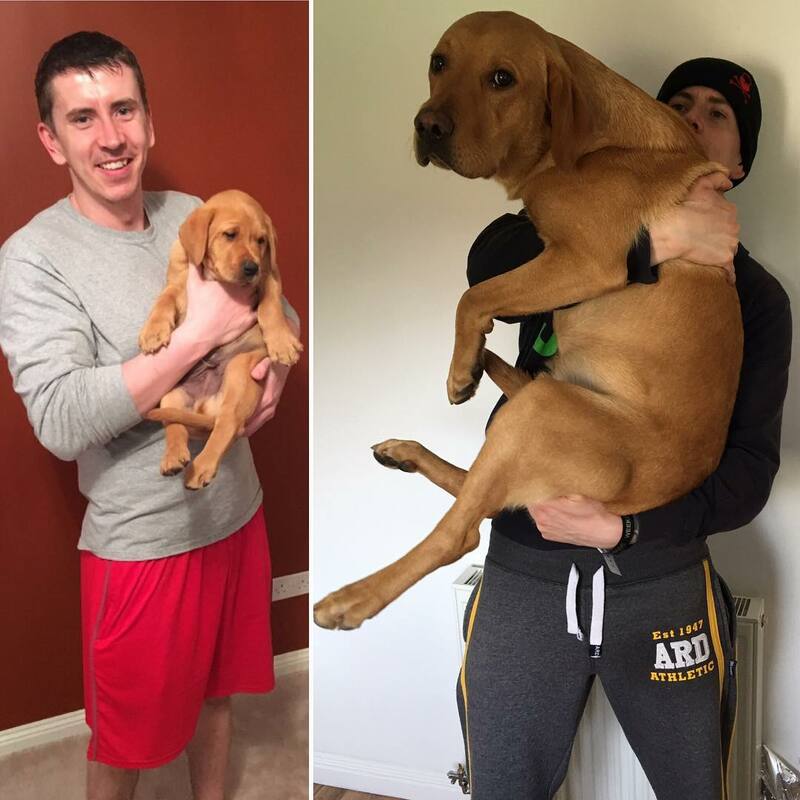 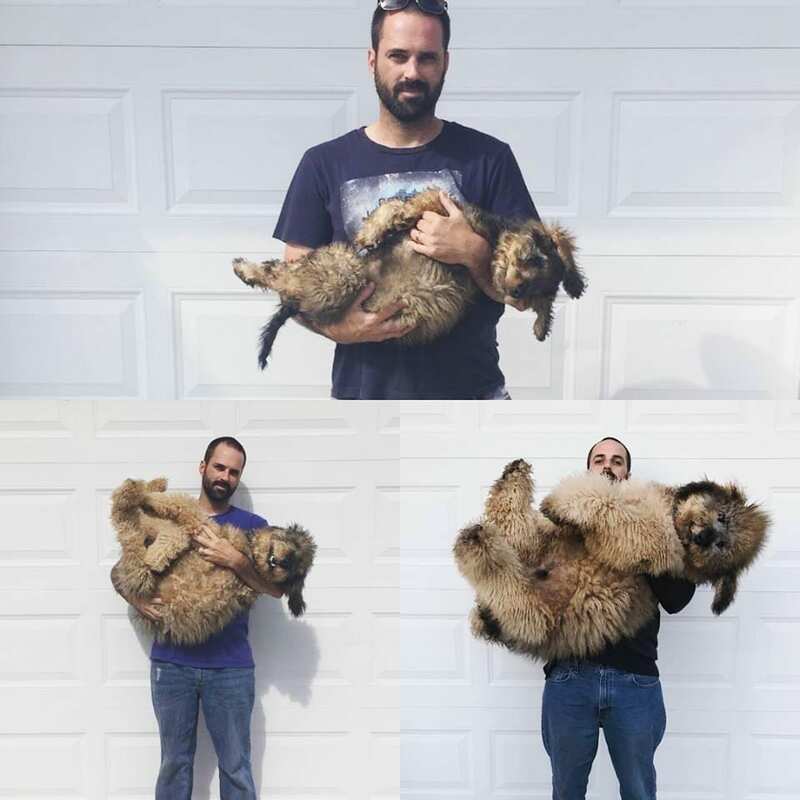 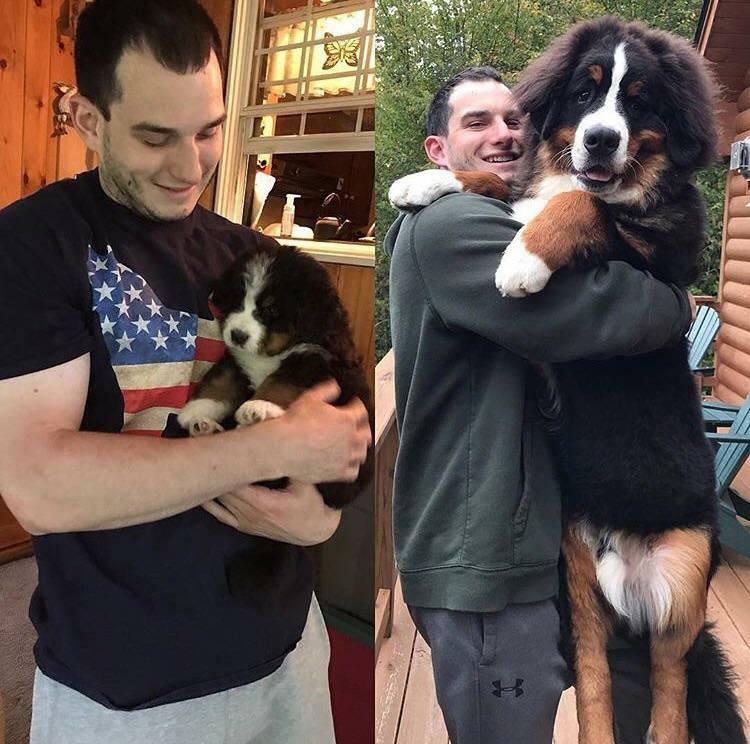 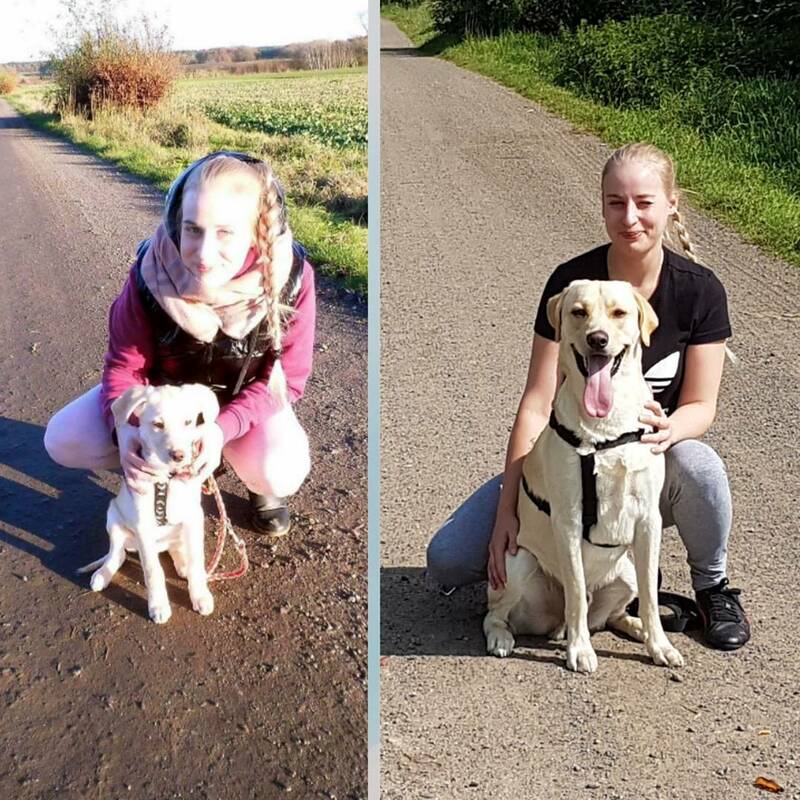 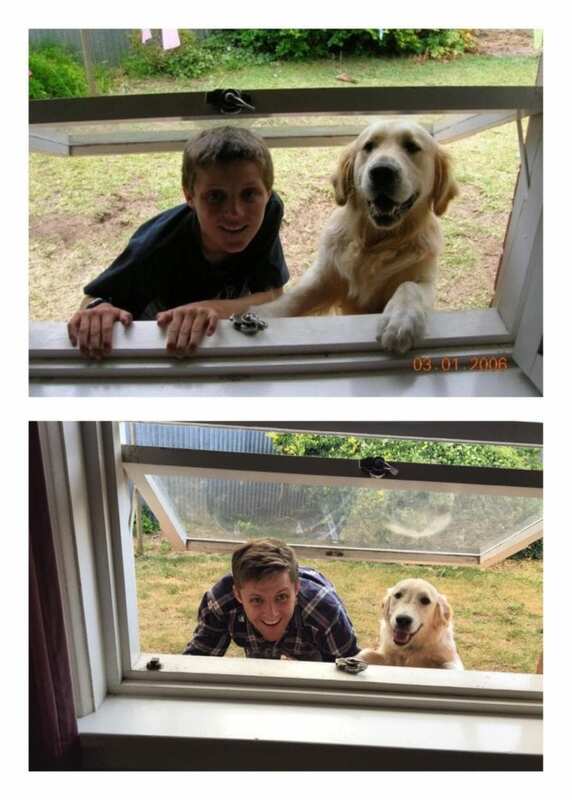 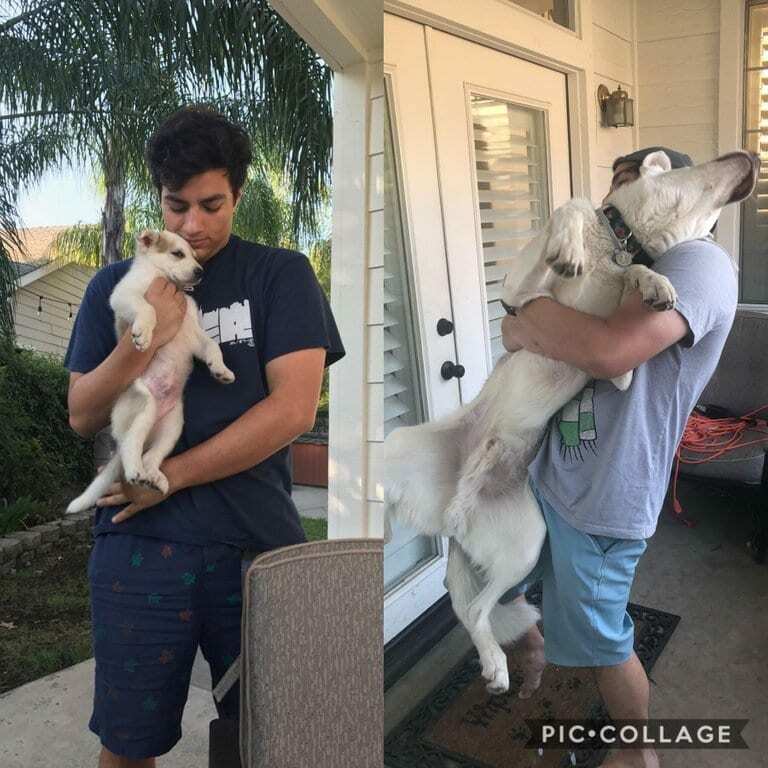 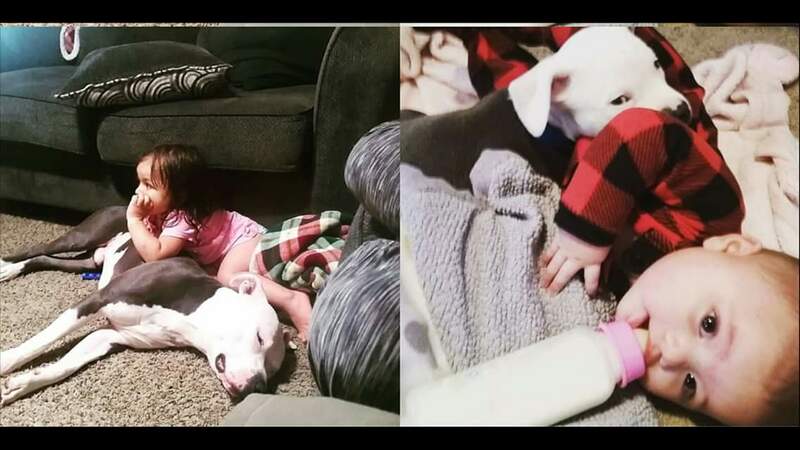 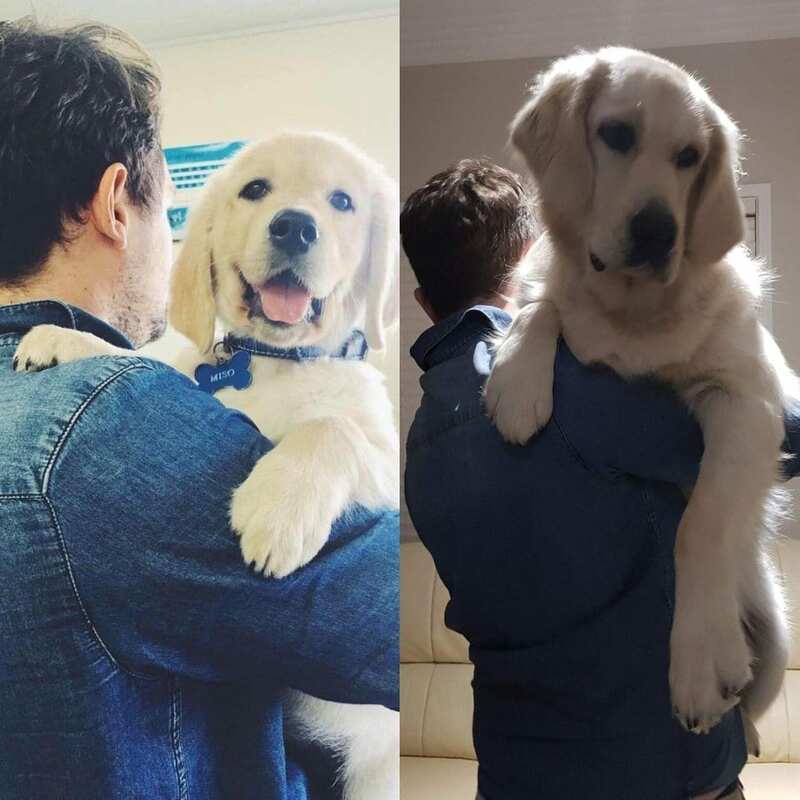 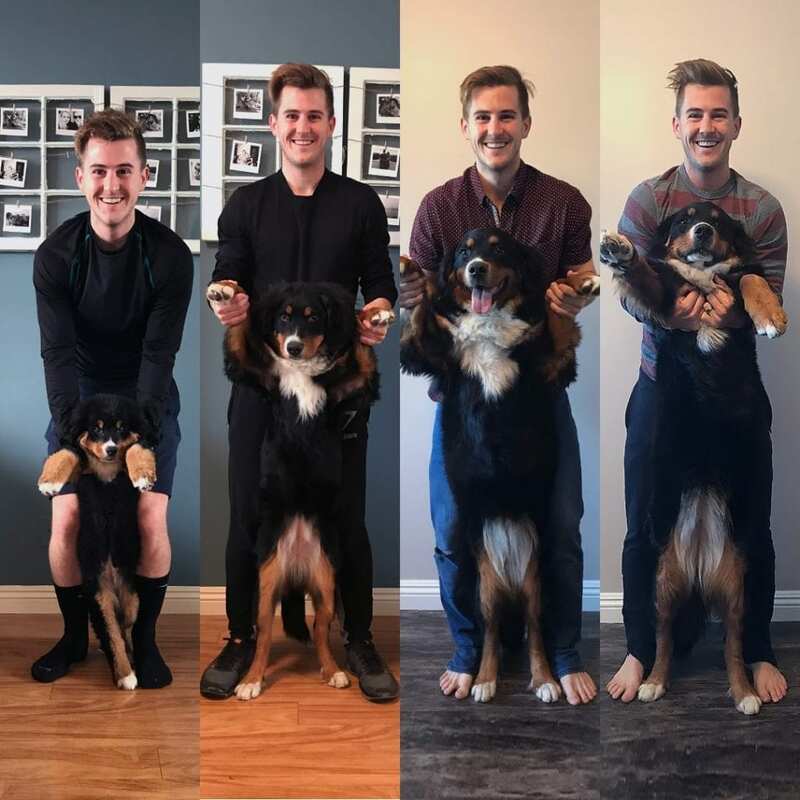 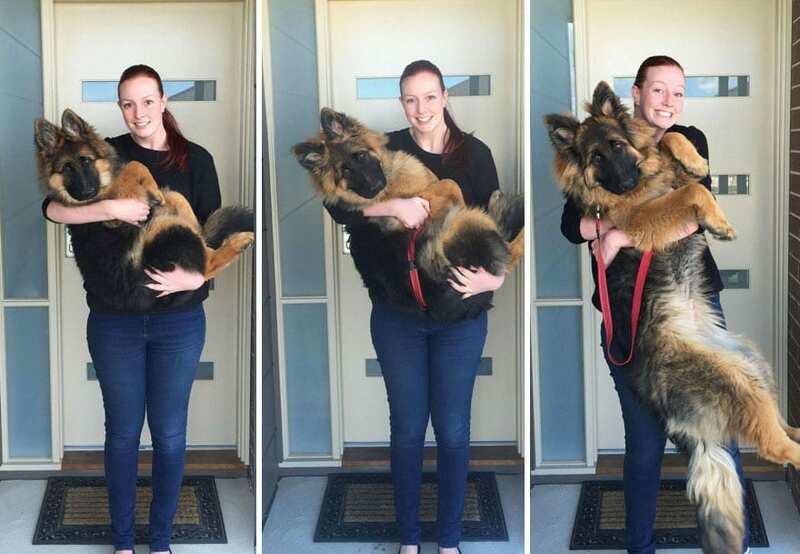 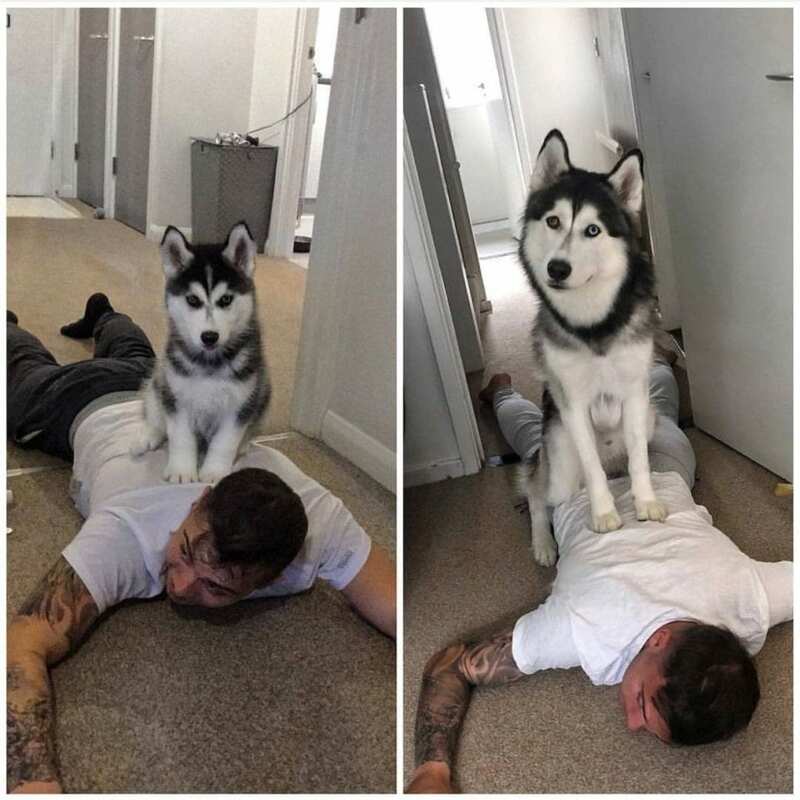 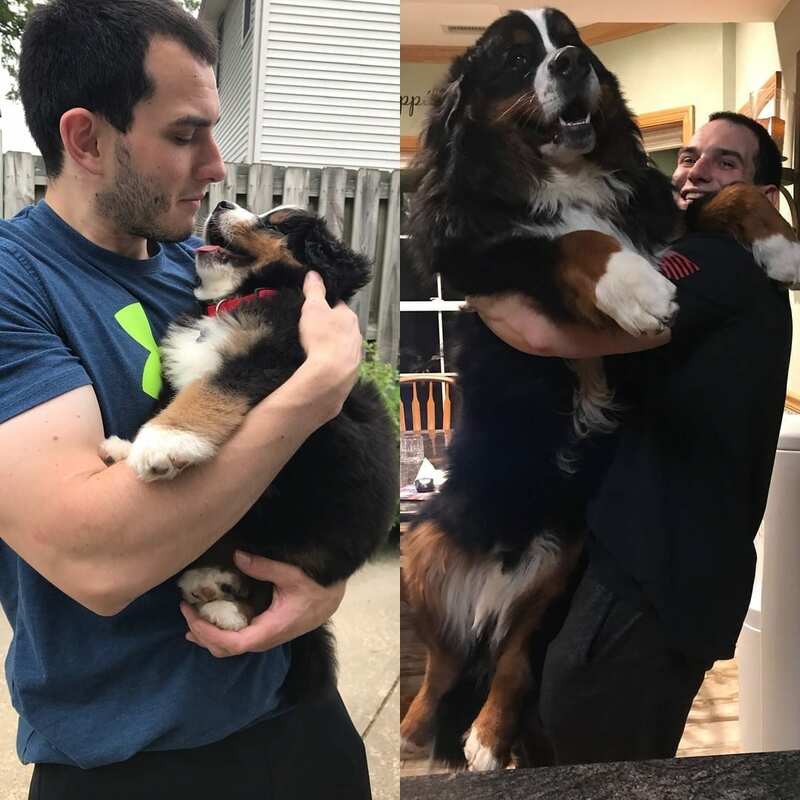 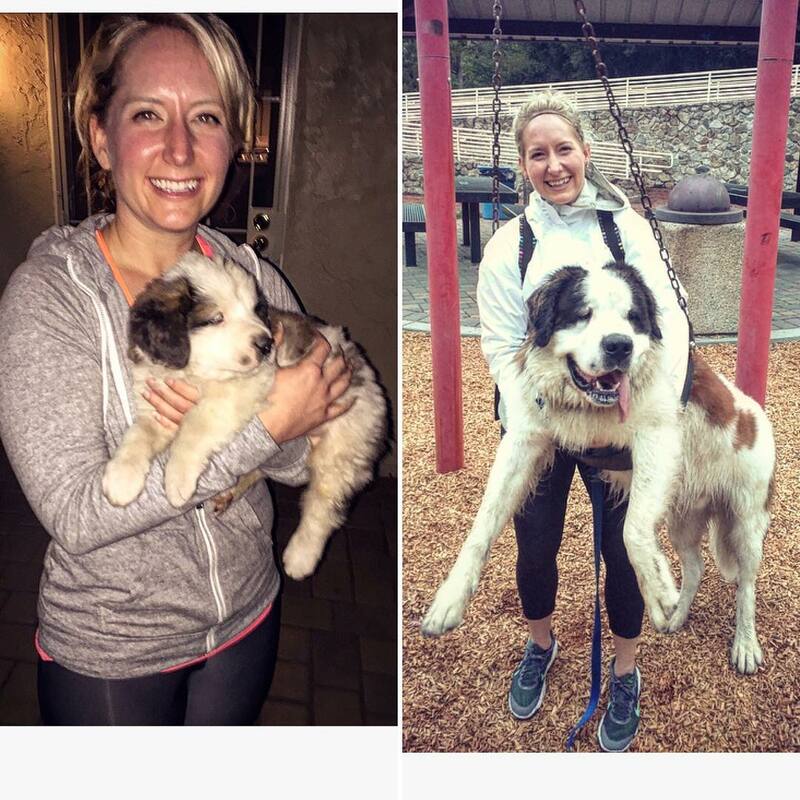 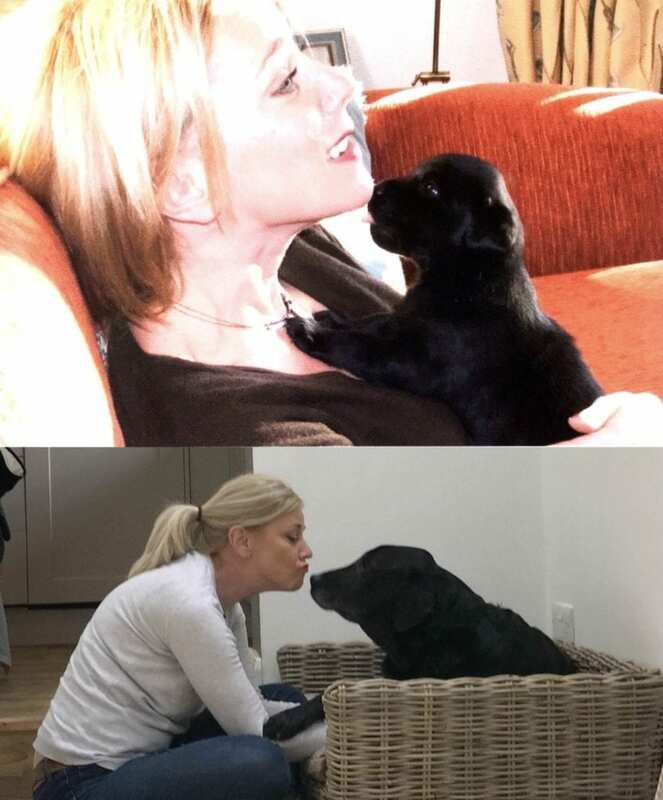 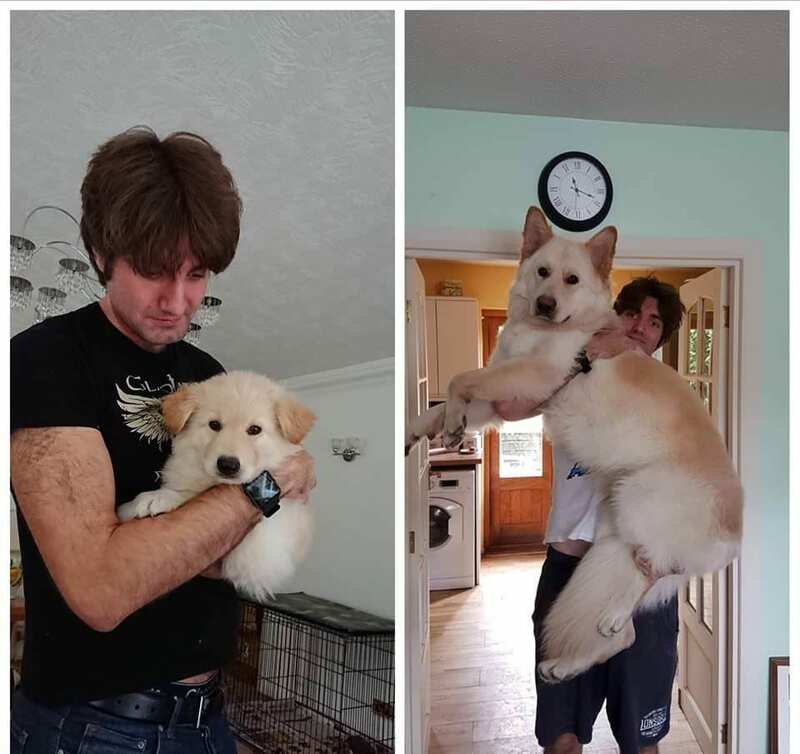 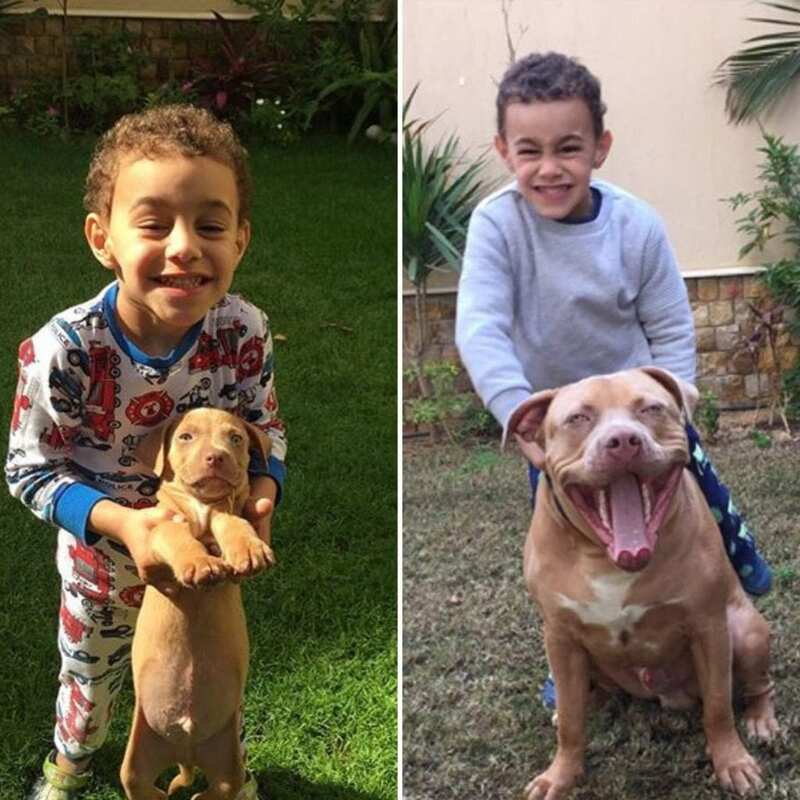 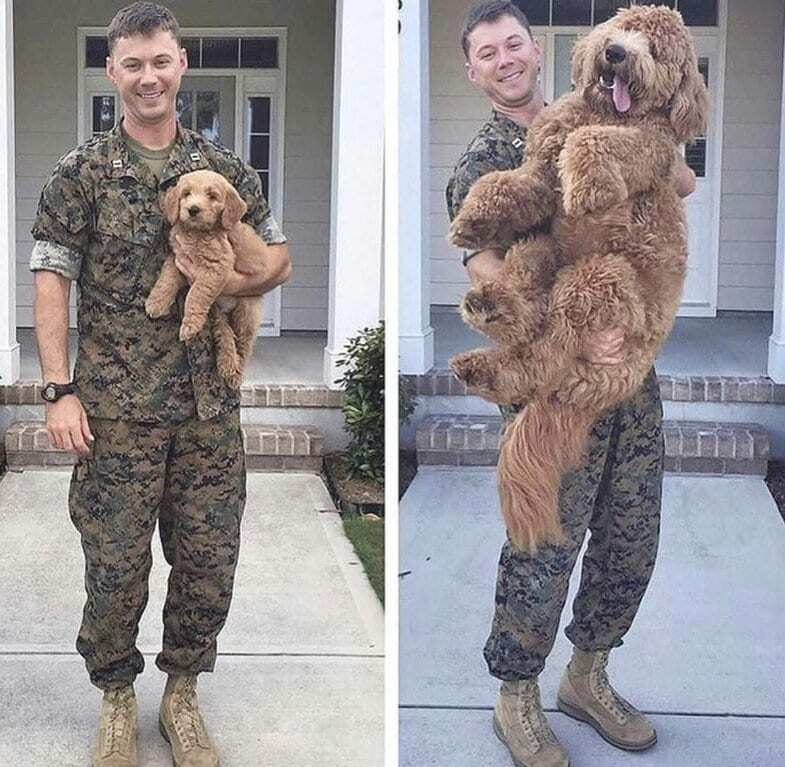 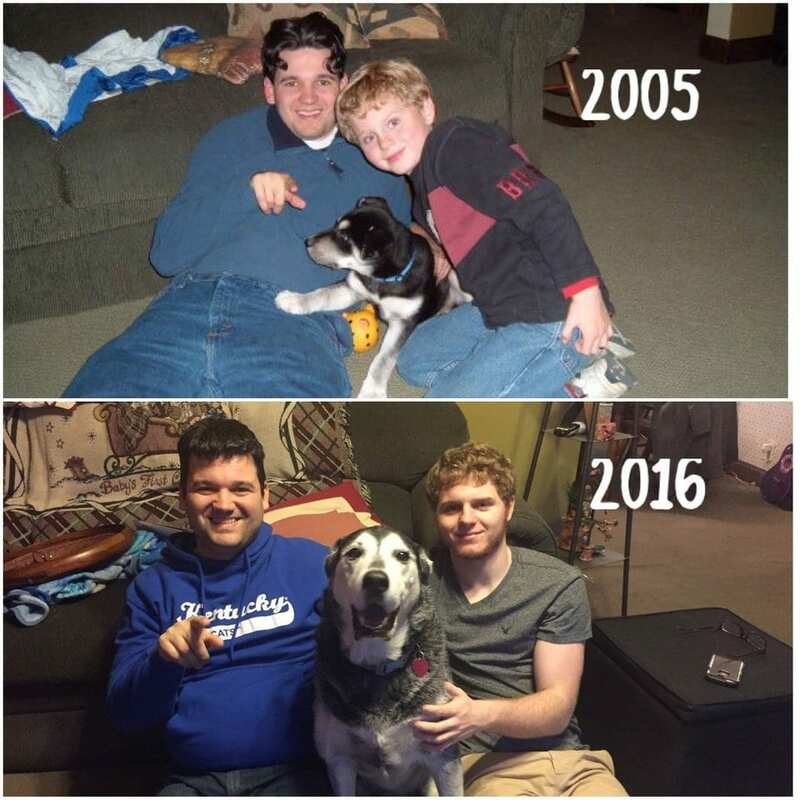 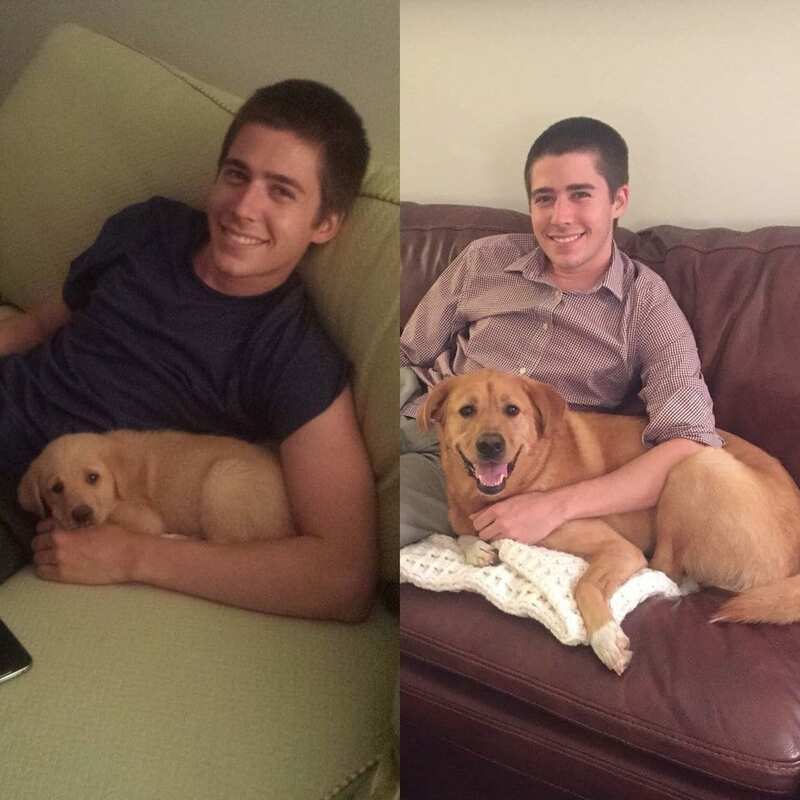 One of the most surprising things about these dogs growing up with owners photos is just how much a dog can grow in a matter of a few months. 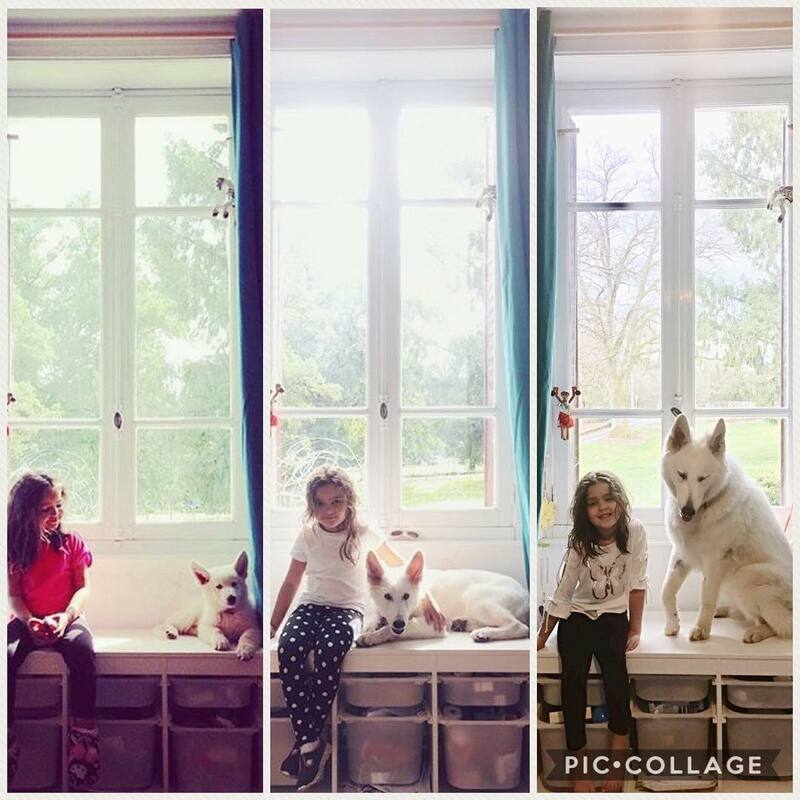 If you see them every day, you might not realize just how much they’ve changed but infact they grow up so fast. 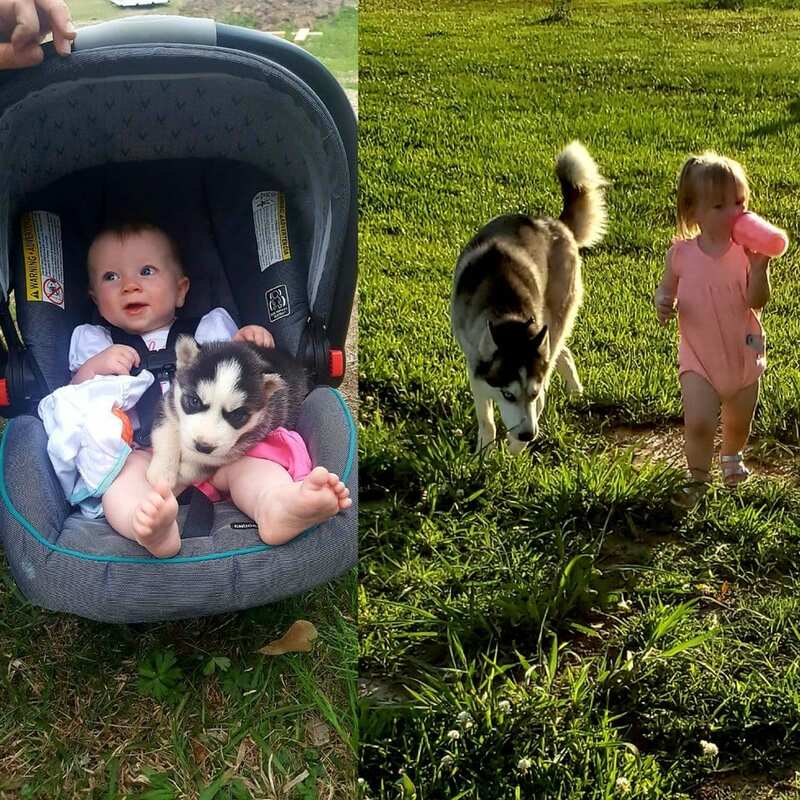 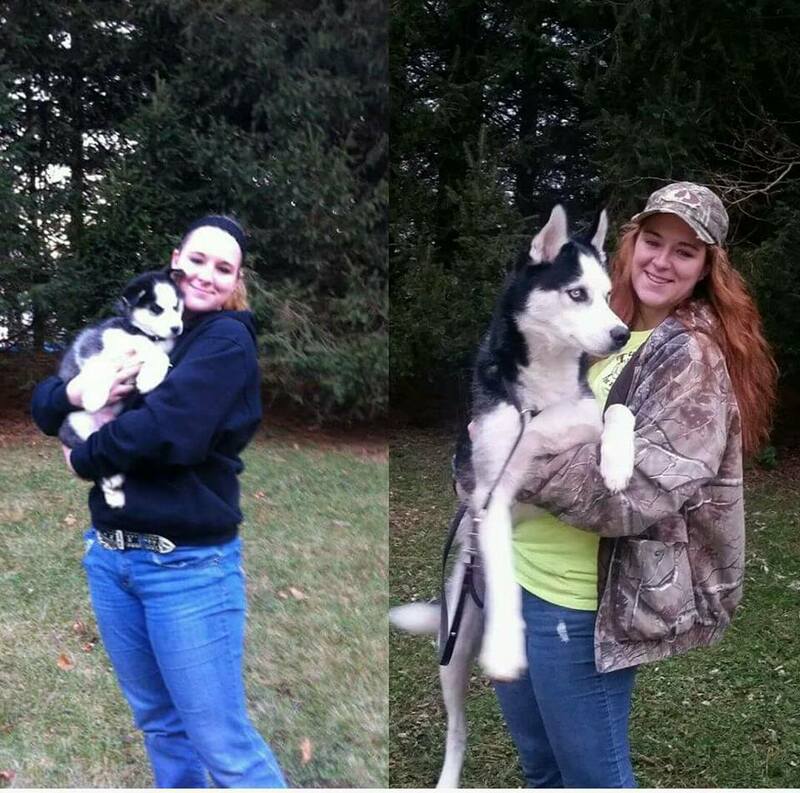 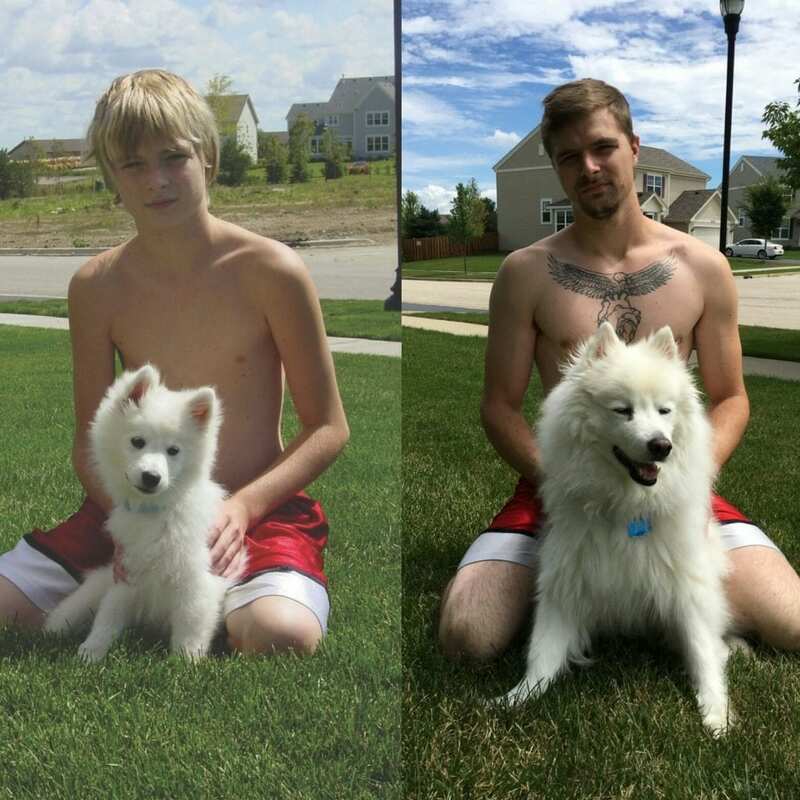 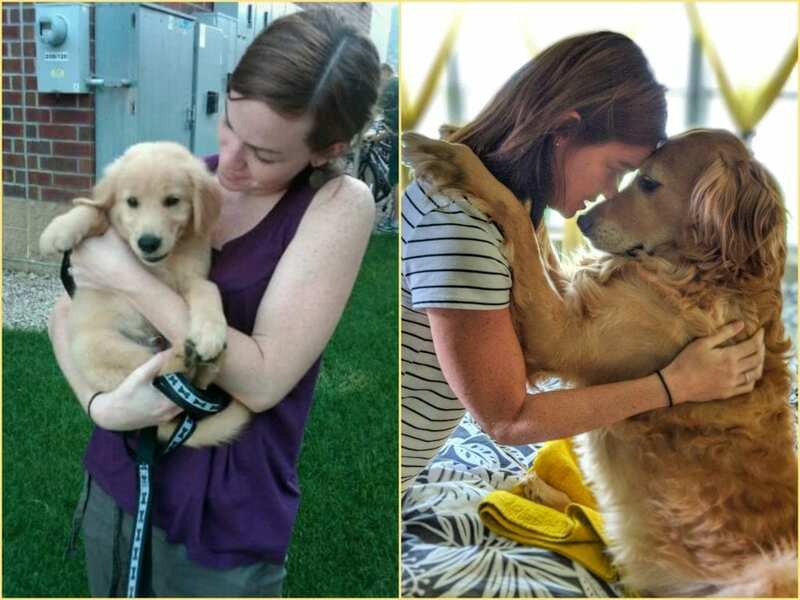 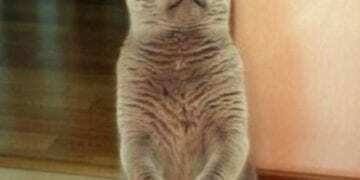 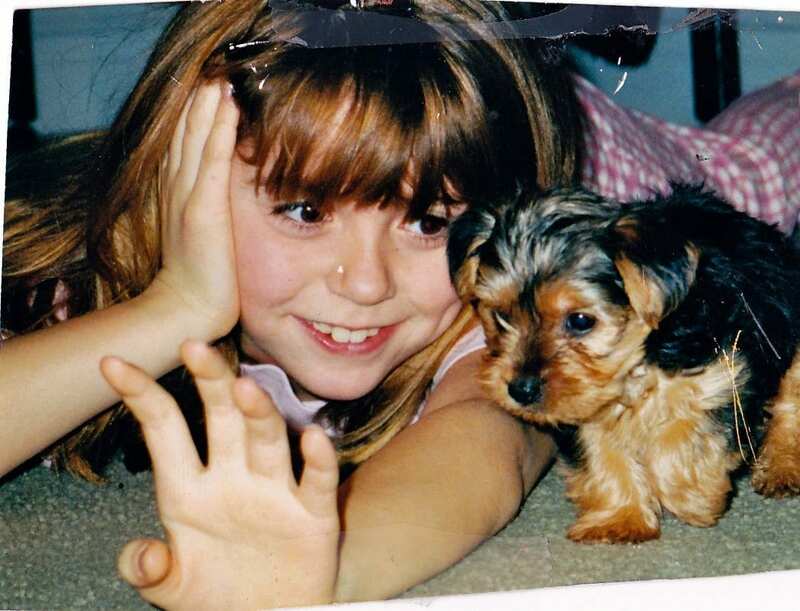 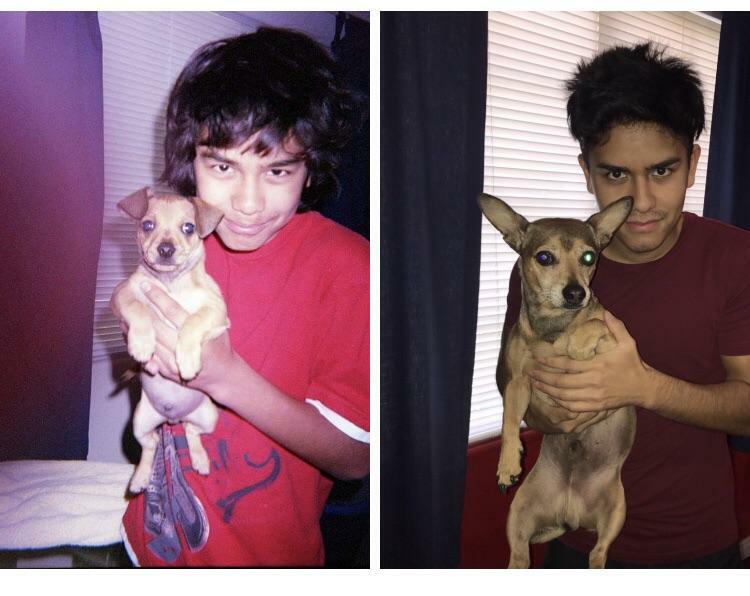 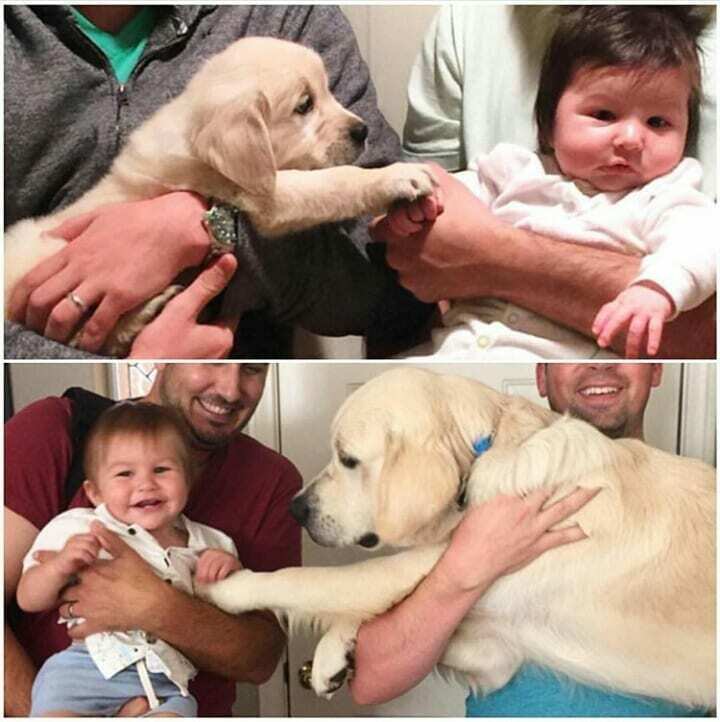 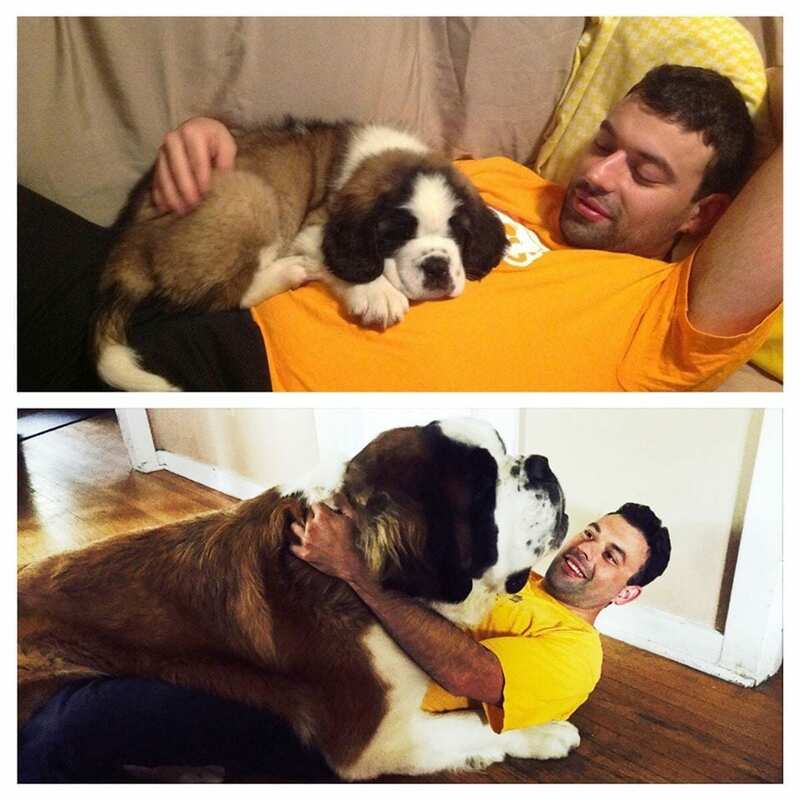 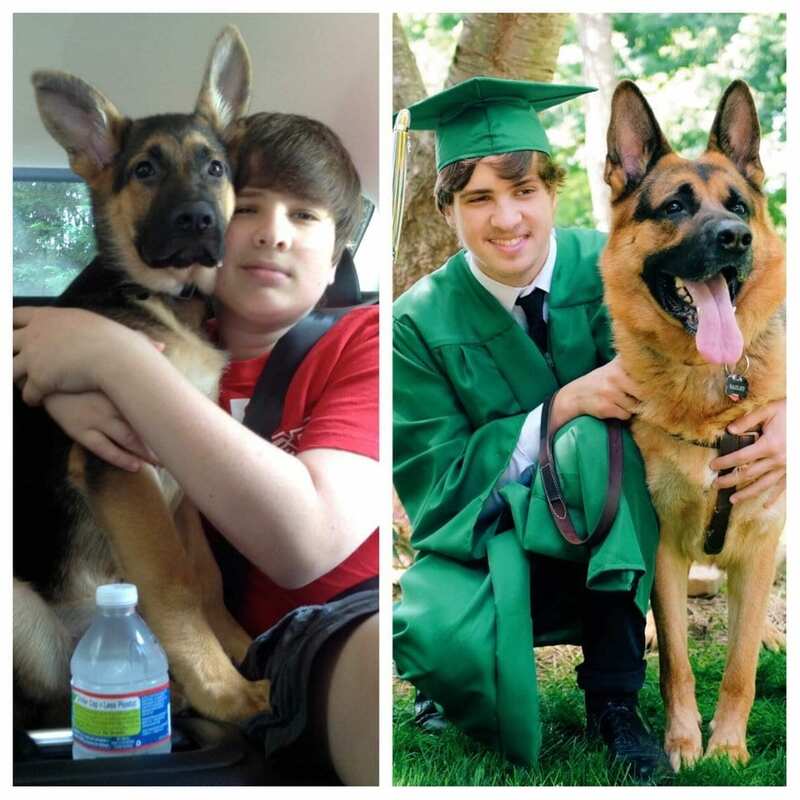 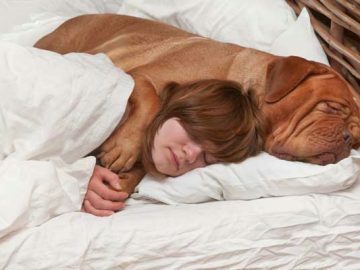 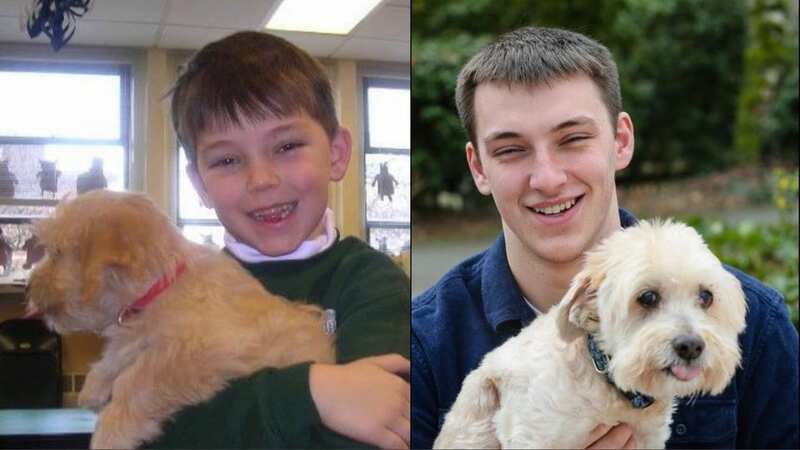 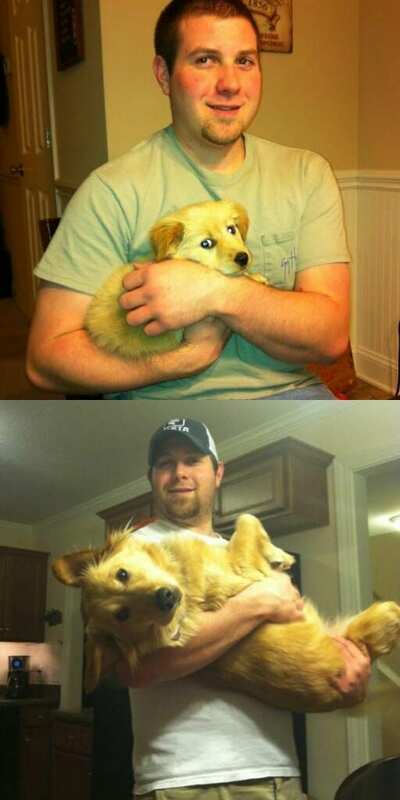 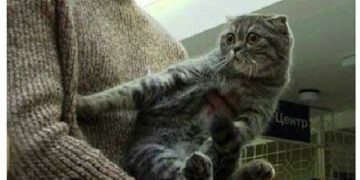 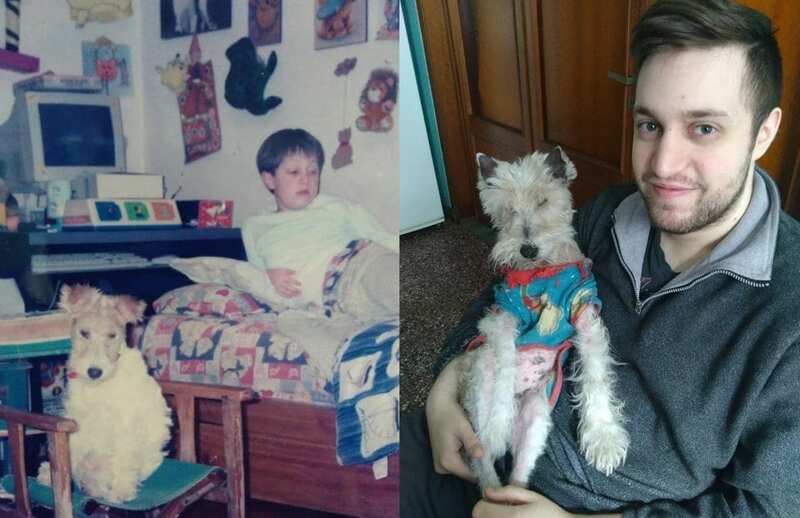 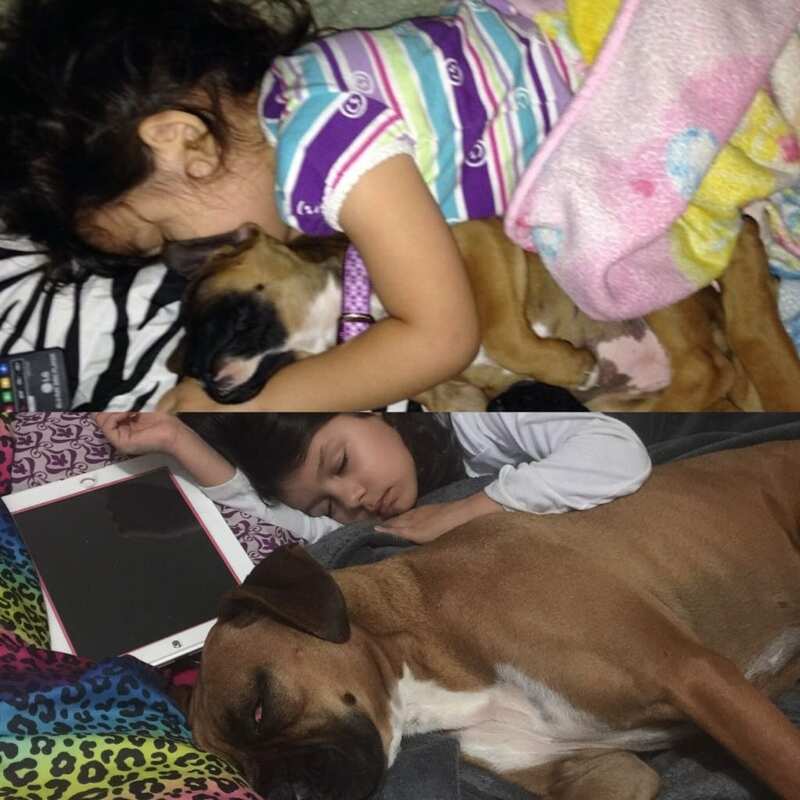 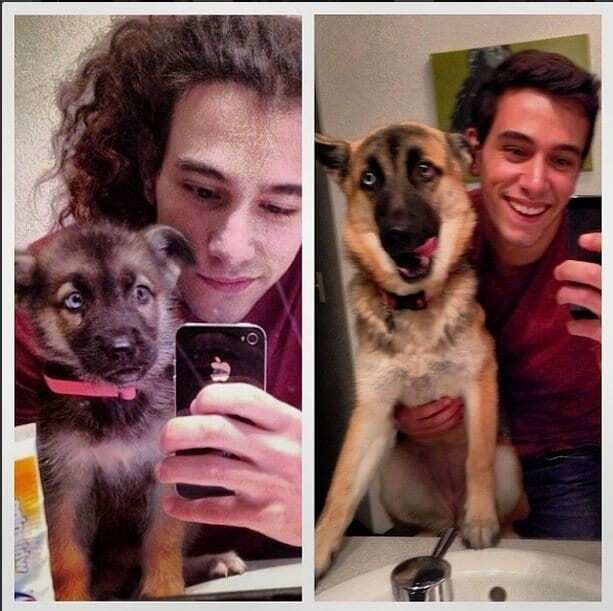 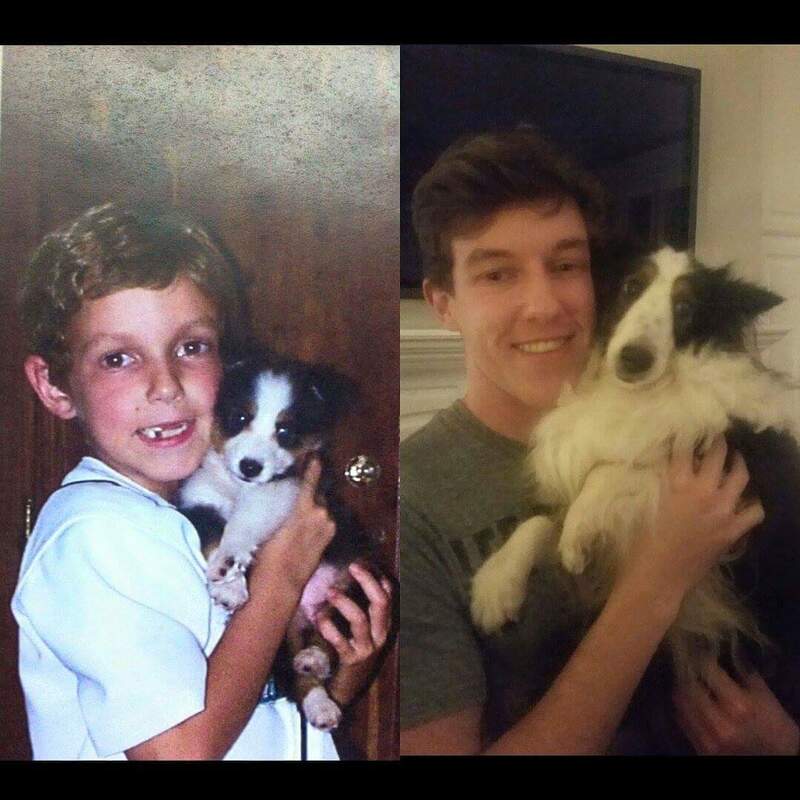 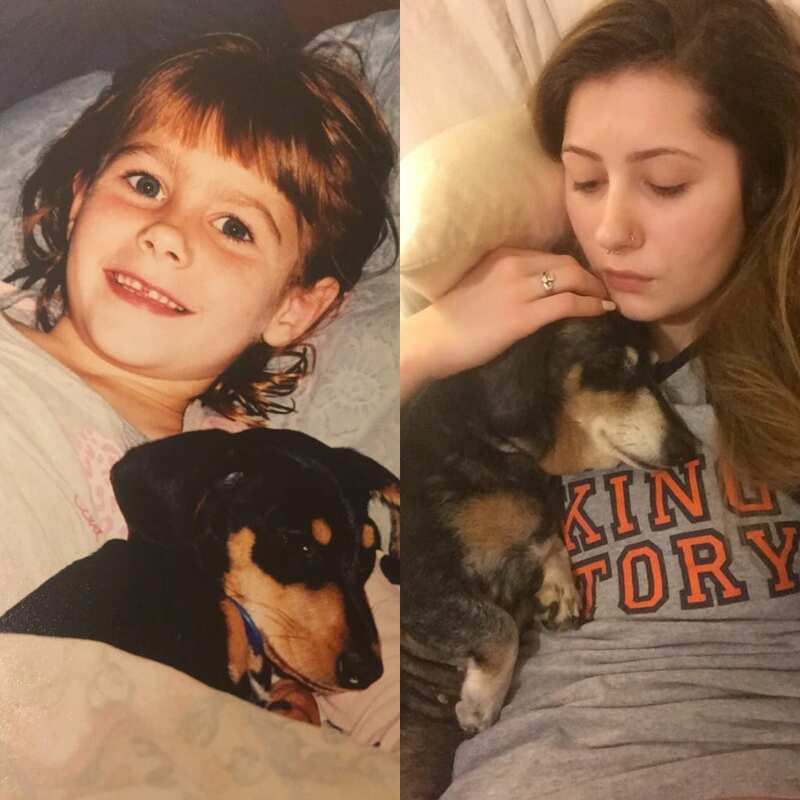 Check out these 60 before and after photos of dogs growing up with owners. 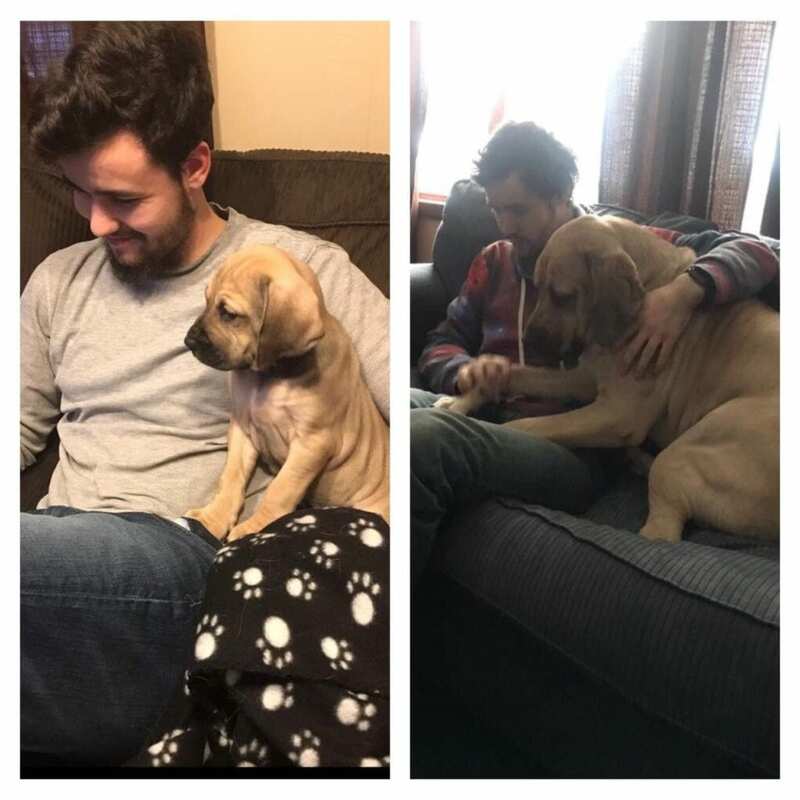 Our Christmas Puppy Is Growing Fast!